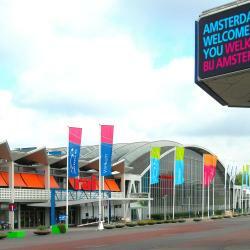 Looking for hotels near Diamond Museum Amsterdam? Park Mansion Centre offers a luxurious apartment with opulent period-style décor and free Wi-Fi, overlooking Vondelpark and a 5 minute walk from Leidseplein. Located in Amsterdam, this apartment is 656 feet from Leidseplein. The unit is 1312 feet from Rijksmuseum. Free WiFi is featured throughout the property. Blue Tulip Amsterdam is located in Amsterdam at the opposite of Rijksmuseum and its neighboring Van Gogh Museum.4-minutes by metro from the RAI convention center. This modern loft-style apartment with free WiFi benefits from a roof terrace, fresh flowers plus free food and wines. Located in Amsterdam, A Century old Townhouse provides accommodations an 11-minute walk from Van Gogh Museum and 0.6 miles from Moco Museum. Complimentary WiFi is provided. Located in the Oud-West district of Amsterdam, Hotel van de Vijsel is 984 feet from Leidseplein. XO Hotels Inner is located in the Museum district of Amsterdam. 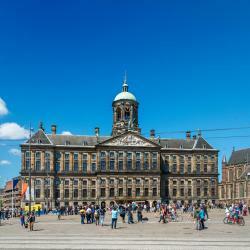 It is located at a 4-minute walk from the Van Gogh Museum and at a 10-minute walk from Rijksmuseum. Freindly Staff, great location, clean Bathroom and room. Only a 5-minute walk from Vondelpark and Leidseplein, this 3-star hotel features a courtyard garden with a seating deck. The simple yet functional rooms feature a TV and a modern bathroom. The staff were very nice and polite. They were very helpful too. Breakfast was excellent. The Quentin England is located opposite the Vondelpark, a 4-minute walk from the lively Leidseplein. The hotel has a 24-hour reception and a courtyard where you may smoke. I upgraded my room and received a full small house in the backyard (room № 501). This hotel is located in a quiet residential area, only 1148 feet from Leidseplein. The staff is very helpful, the location was perfect 5-10 min bike to anywhere in the city. Hotel Parkview lies next to Amsterdam’s famous Vondelpark, in the upscale Museumkwartier district, just behind the Royal Concert building at Museum Square. Very good for a great price. The staff was extremely nicr amd helpful. Hotel Cornelisz is on the most exclusive shopping street in Amsterdam, P.C. Hooftstraat. Its rooms include free Wi-Fi and a flat-screen TV. Leidseplein is a 5-minute walk away. This is a reasonably priced hotel in a very pricey neighborhood. The Owl Hotel is a monumental building located in Amsterdam's Museumquartier with its wide variety of museums. Loved the big breakfast selection and the modern bathroom en suite. And the house cat of course! Max Brown Hotel Museum Square lies around the corner from the famous Vondelpark, right in Amsterdam’s chic museum district. Cool room decor. Cozy atmosphere in the front lobby. TBH we didn’t spend much time in the hotel. Featuring a bar, Hotel Aalders is conveniently located in the green and picturesque museum district of Amsterdam. The hotel is in an excellent location to access the sights of Amsterdam. 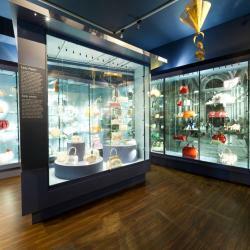 Hotels with great access to Diamond Museum Amsterdam! Hotel Verdi is just behind the Concert Hall in the Museum Quarter of Amsterdam, a 5-minute walk from the Van Gogh Museum. There is free Wi-Fi in the breakfast room. Great rooms, very clean, spacious and comfortable. Nice Breakfast. Super location. Hotel Roemer is a boutique hotel located in 2 historic 18th-century mansions in a quiet street, only 1312 feet from Leidseplein in the heart of Amsterdam. We were a tad hesitant after reading some reviews on bed comfort. Hotel Vondel is a 4-star boutique hotel in the center of Amsterdam, 1640 feet from the Rijksmuseum. The rooms are decorated with contemporary art by Peter Keizer. the room was amazing! tub in the middle of the room. Great special visit for my husband and I. Hotel Museumzicht is located on the upper floors of a 19th century Art nouveau mansion. From the breakfast room you have a unique view of the Rijksmuseum, a 3-minute walk away. The staff were fantastic. If you want to see the big 3 museums you can't beat the location. 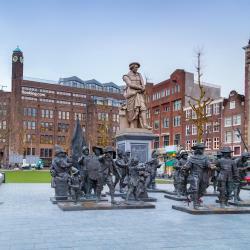 NH Museum Quarter is located a 7-minute walk from both the Van Gogh Museum and Rijksmuseum, housed on the Museum Square. The hotel offers a 24-hour room service and on-site fitness facilities. The hotel was perfect location for culture trip to Amsterdam Close to Rijks and to Concertbegouw.